Gorgeous split great room floorplan! 2 tone paint, brand new carpet, neutral 20'' tile, blinds throughout, upgraded fixtures, Fabulous master suite with gigantic closet, and arcadia door to yard, Master bath has separate garden tub, big shower and dual sinks. Upgraded kitchen w/custom birch cabinetry, granite countertops w/tile backsplash, stainless appliances, fridge and pantry. 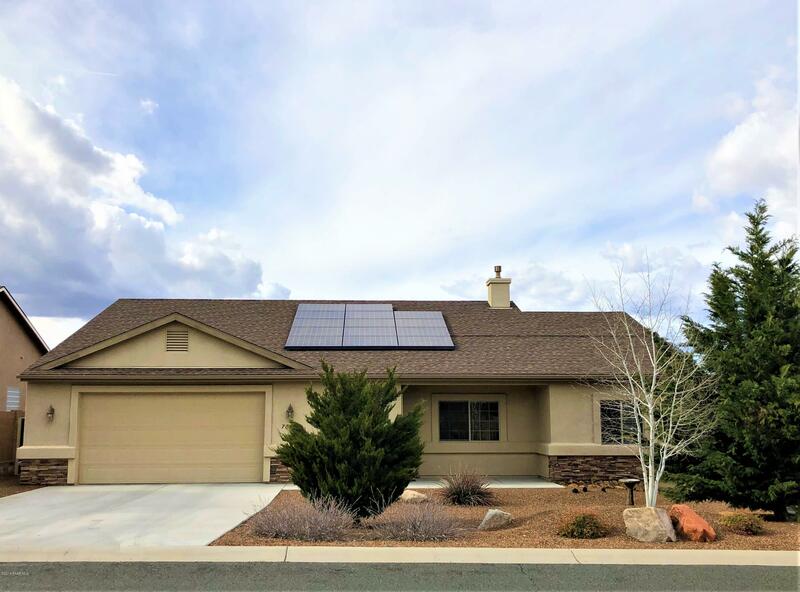 Large laundry room w/sink and cabinetry, Oversized lot sides wash and nice covered patio, 2.5 car garage, solar lease is $61.83 a month but average utility bill year round is $15 monthly! !